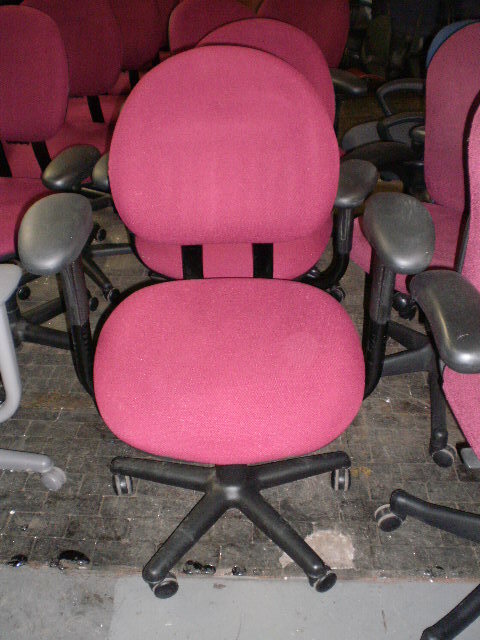 Steelcase Criterion task chair. Fully ergonomic with height adjustable arms. Burgundy fabric with black frame. 1 Comment on "Steelcase Criterion Chairs"